*Pictures are of DUAL PEP ~ Pictures of DUALLY SUNETTE coming soon!! *DUAL PLAYGUN ~ AQHA ROM and AQHYA World Champion. *SMART LIL SUNNY ~ Producer of Money earners. *AUTUMN SUNSETTE (X AUTUMN ACRE) Showing in NCHA. DUAL PEP, LTE$ 307,384. Ranked Top 5 of Equi-Stat's All-Time Leading Cutting Sires with Offspring earnings in excess of $24,000,000. SUNETTE OLENA, .LTE$69,215; top 10, NCHA Super Stakes. EQUI-STAT Top 15 ALL-TIME LEADING CUTTING PRODUCER. Dam of 16 performing foals with earnings in excess of $974,160+ . JUSTINE TIME, NCHA MONEY EARNER, Full sibling to 3 NCHA money earners. Justine Time retired sound. PEPPYS QUEEN LEOTA, Dam of offspring with earnings in excess of $392,522. CATS SHINEY DUALPEP, NRCHA LTE$3500, She was LTD Open Reserve Champion in the NWRCHA Caton Ranch/High Country Futurity, LTD Open Reserve Champion in the MVRCHA, She took 3rd in the LTD Open URCHA Annual Futurity and placed in the top 10 in the Open NWRCHA Caton Ranch High Country Snaffle Bit Futurity. Her first foal will be in 2013. MISTER DUAL PEP, LTE$ 43,929.NCHA COA. (Full Brother to Dual Pep) The #3 Equi-Stat ranked 5-Year Leading Working Cow Horse SIre. He was also Ranked by Equi-Stat #2 Sire of Yearlings and 2YO's sold in 2002 reined Cow Horse Sales, He is the sire of over $2.4 Million. MISS SHINEY CAT, Two time World Champion in Amatuer Reining and Working Cow Horse. She has produced money earners in NRHA, NRCHA and AQHA World Show Performers in excess of $26,000+. PEPPY SAN BADGER, LTE$172,000+. AQHA Hall Of Fame Horse. NCHA Futurity Champion, NCHA Derby Champion, 1980 NCHA OPen Reserve World Champion. Sire of offspring with earnings in excess of $25 Million, ranking 4th in the All-Time leading Sires of cutting horses. MISS DUAL DOC, Ranked by Equi-Stat as #16 out of Top 100 Dams Lifetime Cutting Stats in 2002. Dam of offspring with earnings over $784,421. She is also th dam of DUAL PEPPY, JUST MISTER DUAL, NITRO DUAL DOC and the Legendary Dual Pep. 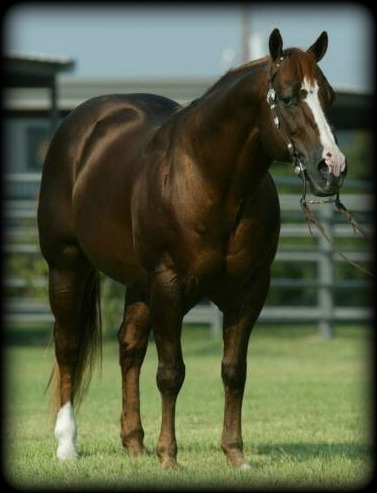 SHINING SPARK, (LTE$62,674) EQUI-STATS ALL TIME LEADING Reined Cow Horse Sire. His offspring have earnings in excess of $7 MILLION. HOT CHEXY BANJO, Proven Producer, dam of 3 foals 2 are NCHA & NRCHA Money Earners. HOT STAR CHEX, With only 24 foals on the ground Hot Star Chex produced AQHA Performance Point Earners. DIXIE BANJO, With only 24 foals on the ground Hot Star Chex produced AQHA Performance Point Earners. 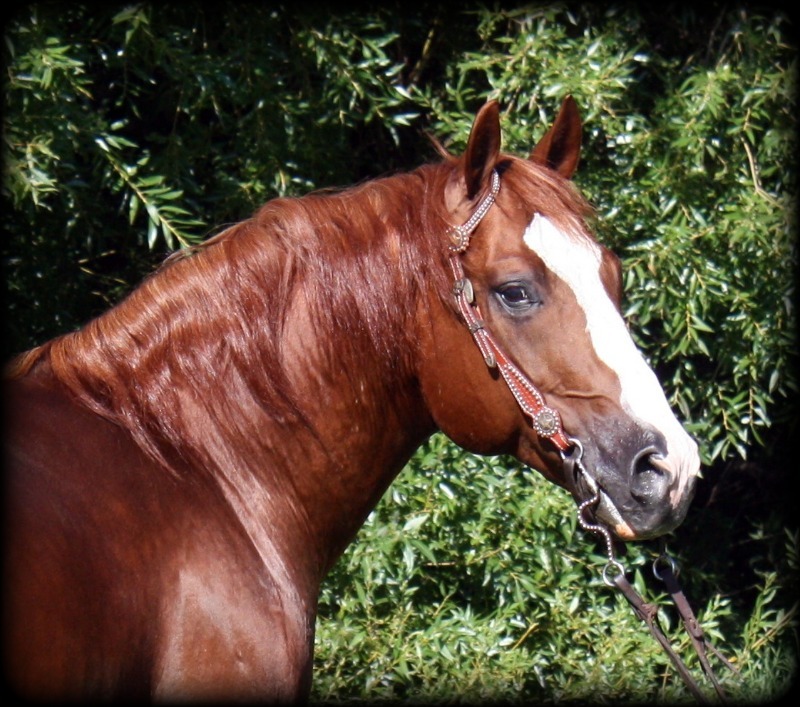 NU CHEX TO CASH, NRHA 2 MILLION DOLLAR SIRE, LTE $61,000, All-Time Leading Reining point earner in AQHA history. He has AQHA Superiors in Reining (298 points) and Working Cow Horse (80.5 points). His offspring have earned in excess of $1,000,000 and over 2,706 points. Current leading sire of Reining and Working Cow Horses. MISS KF NIC, LTE $5,677 in NCHA & NRCHA, Proven Producer of Money Earners. NU CASH, LTE $87,575. 1987 NRCHA Futurity 3YO open Champ. Sire of Offspring with Equi-Stat earnings in excess of $1,900,000. Current Leading Sire. AMARILLA CHEX, AQHA ROM. Dam of offspring with earnings in excess of $187,900. REMINIC, LTE $92,650. Major Aged Event Finalist. NRHA Million Dollar Sire. He ranks as one of Equi-Stat's Top Leading Reining & Reined Cow Horse Sires with Offspring earnings in excess of $3,800,000. MISS JEANNIE CHEX,Proven Producing Daughter of the Legendary King Fritz. CHICS GETTIN TRASHY, This beautiful mare had 6 months training at the Babcock ranch until finances interrupted her training. TRASHADEOUS, LTE $130,000+ NRHA Hall Of Fame, NRHA Open World Champion. NRHA Open Futurity Reserve Champion. Top 30 2011 NRHA Futurity Sire. RITACHIC, Dam of 14 foals, 4 performers including Remin Chic($2,427 NRHA, 10 Open AQHA Performance Points); Elans Chic( $1,646 NRHA, 8.5 AQHA Am. Performance Points & 10 Open AQHA Performance Points) and Elans Chic Olena ($948 NRHA, AQHA Earnings). CUSTOM CROME, LTE $116,577 Offspring earnings in excess of $3.5 million. *2011 Mare by SMART LITTLE PEPINIC. *2012 Mare by SMART LITTLE PEPINIC. DRY SAN,1979 bay, #1551150; NCHA Platinum, LTE: $91,082. ; 4th-1982 NRCHA open Snaffle Bit Futurity. MY WILSON GIRL, Proven Producer, She has offspring with NCHA earnings in excess of $5806.60.Daughter of Doc Wilson NCHA Hall of Fame, LTE: in excess of $122,500. 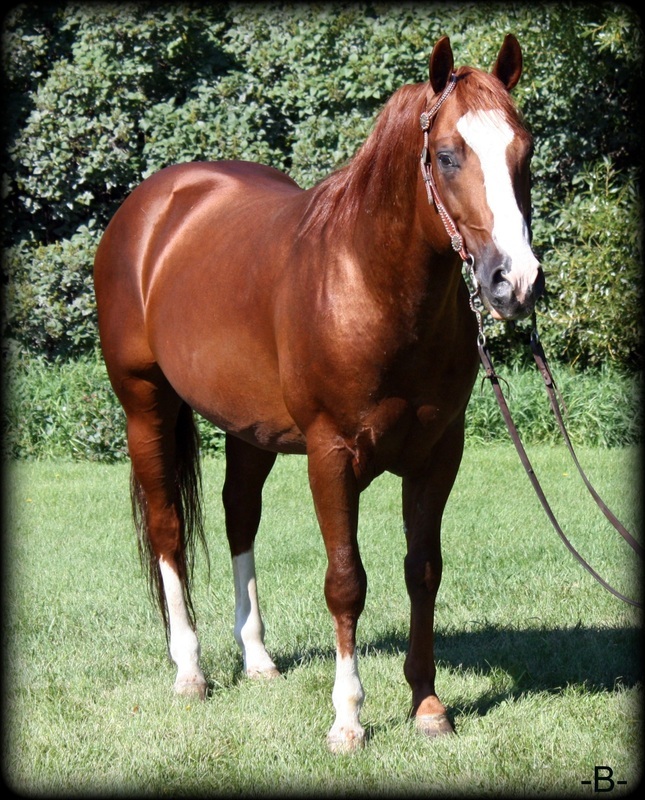 BETTA SUGAR, Proven Producer, she is the dam of AQHA point earners who have earned 26 AQHA performance points and 1 peformance ROM. SMART LITTLE LENA, The 2nd All Time Leading Cutting Horse with lifetime earnings in excess of $743,000. The first NCHA Triple Crown Winner. Sire of offspring with earnings in excess of $34,900,000 and is the All Time Leading Sire of cutting horses. *2011 Black Mare PLAIN DUAL NIC. PLAIN DAUL NIC, NCHA LTE$21,288+.AQHA ROM and NCHA COA. PCCHA Cutting Stakes Open Co-Reserve Champion, Split 4th OCHA Futurity Open, Split 6thGold Coast Winter Derby Open, Finalist in the NWCHA Futurity Open, & PCCHA Cutting Stakes Stallion Award Co-Reserve Champion. Sire of futurity winners and money earners in NCHA, NRHA and NRCHA. JUST PLAIN COLONEL,LTE $53,676; AQHA Point earner; 1987 PCCHA Derby 4 YO open Finalist; 1987 Celebrity Classic 4YO Open Finalist; 1987 Bonanza Cutting 4YO Open Finalist; 1989 PCCHA Derby 4th 6YO Open;1989 Gold and Silver 5 & 6 YO open Finalist. A current 5-year leading Working Cow Horse Sire. Sire of Offspring with earnings in excess of $1,500,000. DOLLINIC,Proven Producer. Dam of NCHA & NRCHA Money Earners and AQHA point earners. Offspring have earnings in excess of $62,000. DUAL DOC, LTE$9,804. 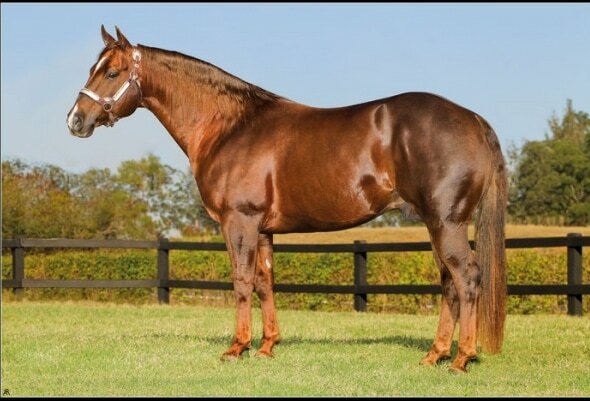 Sire of offspring receiving AQHA ROM's and a Reserve World Champion. His Offspring have earnings in excess of $159,000 in NCHA and NRCHA. PICINIC,LTE $1,489, NCHA COA; Semi-Finalist in NCHA Futurity Open. Dam of offspring earnings in excess of $67,830. By legendary Fillinic. CHEX BY PEPTO, NCHA LTE $19,567. NCHA COA. 2010 World Show Qualifier in Amateur Working Cow Horse. Sire of NCHA & NRCHA money earners. COLONELS LADY REMEDY, Injured as foal and died after first foal was born. PEPTOBOONSMAL, LTE$180,487. 1995 Futurity Champion, 1996 Sun Coast Futurity Champion, 1996 Bonanza Cutting Champion, Peptoboonsmal ranks in the top 10 of ALL-TIME LEADING CUTTING SIRES. His total offspring earnings are in excess of $16,000,000 including producers with get earnings in excess of $18,000,000. ROYAL HOLLY CHEX, Proven producer with money earning offspring. *Pictures are of PLAIN DUAL NIC, Pictures of JUST PLAIN PIA coming spring 2013.